Another photo of Smudge, this time resting in my craft space. I liked the layout of the sketch and have used a lot of elements from it, but as always some things were tweaked. I liked the circles and tried to incorporate them....but in the end, they had to go. My fussy cut items are the butterflies and the feathers. Thank you to Sandra for creating another fantastic challenge and three cheers for the awesome sponsors. 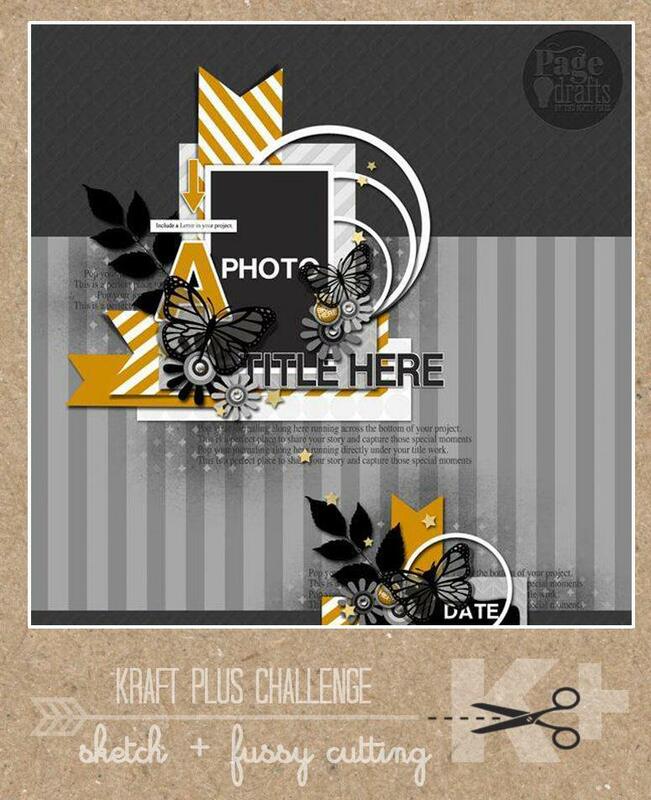 Your page looks lovely, what a great photo, love the back ground stencilling too.. thanks for joining in with Kraft+ this month! love the almost antique feel to the page - and that is one special cat! Amazing job! 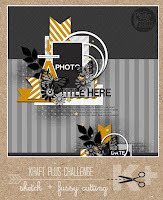 Love this layout 😍😍 Thank you so much for joining us at Kraft Plus.